In Dave Stuart's October 2018 Newsletter, he mentions OD832, a 23-60 originally sold in Queensland. There are some period photos of the car on the Photo Archives (AUS/NZ) page. The restoration was started many years ago by James Meera. However, earlier this year James decided to sell the project, and so the car moved to Wales. Phil Cordery reports that a lot of good work has been done, but there remains a lot to do. The photos below shows work in progress as at October 2018. James Gunn is making excellent progress with Alex Hayward's A09 project. A major milestone was reached just before Christmas when Alex and family visited. The engine start up was captured here. Almost ready for a body now! My 1914 16-20 A Type is currently fitted with a 23-60 gearbox. 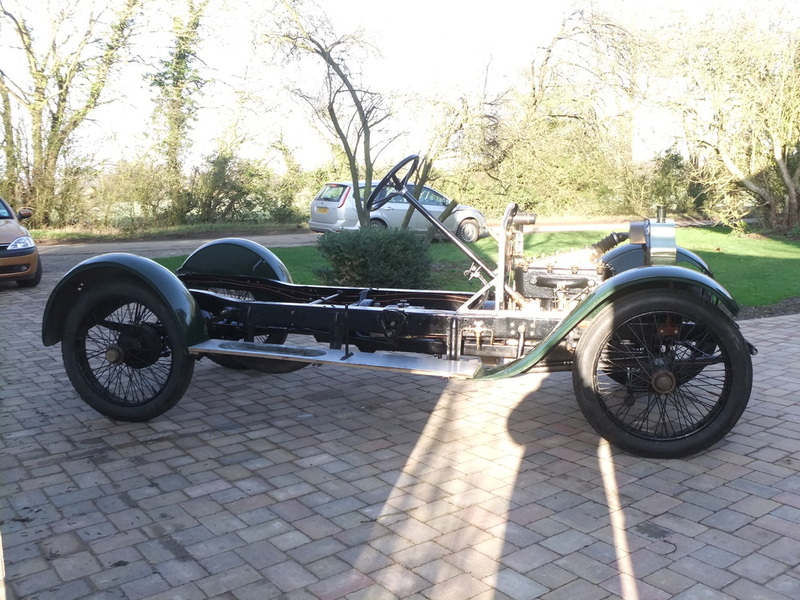 I wanted to fit an Edwardian gearbox in order to make the car more correct and Julian Ghosh managed to source one with the serial number W403 & 4 A11 220. The input and output shafts had been butchered but good replacements were provided. I have now overhauled this gearbox and have taken many photos learning along the way about Edwardian gearboxes. The following is my understanding about Edwardian gearboxes and I welcome comments as I am a relative newcomer to these cars. ​A09. This had the first version of the 4 speed gearbox and had a one piece casing with three point mounting and a hexagonal not splined mainshaft. Vauxhall have drawings for the internals of this gearbox. The November 1910 Auto Journal shows a B type chassis with this gearbox but with four point mounting. I believe that there are only two or three cars surviving with this gearbox. A11. This had a redesigned gearbox with a splined mainshaft. The casing was in two halves with pattern numbers 403 BAC and 404 BAC cast on the bottom and top halves respectively. The layshaft bearings were self-aligning and mounted in eccentric steel sleeves which allowed the backlash to be adjusted. A drawing of this gearbox was published in the 1911 Automobile Engineer show review. The Motor in November 1911 had a photo of the 20 hp chassis and noted that the redesigned gearbox was shorter and had improvements to the gear change and interlock. This gearbox type had several modifications over the years, mainly to the method of mounting the coupling on the input shaft which went from a parallel shaft with two parallel keys to a splined shaft with a retaining nut. Finally a taper with a woodruff key was used although I am not certain if this modification was used on the A11 type gearbox. If it was then it was after 1916. At least four different arrangement drawings of this gearbox were published in the press over the years. The drawings show the layshaft gears keyed onto the shaft with a separate key for the 1st pinion although my gearbox has one long key. ​I have a full set of photos of the disassembly and reassembly of my gearbox and can provide notes if required. The 20hp A type Vauxhall, introduced in October 1908, was the first of the Pomeroy designed cars that culminated with the E type. 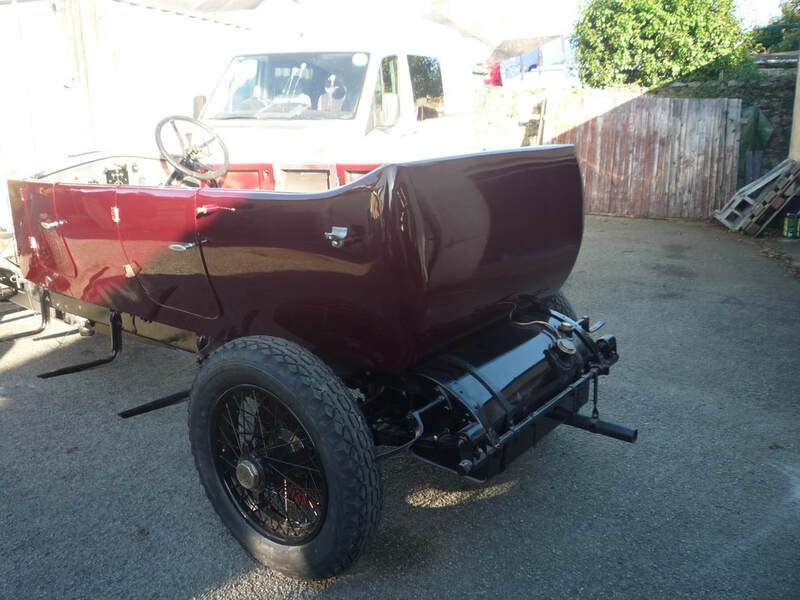 The 16-20 A type was the final development of the A Type and was introduced in November 1912 concurrently with the 25hp D type. It had a narrower chassis and shorter wheelbase than earlier A types as the larger coachwork that customers were demanding could now be fitted to the D type chassis. The 3053 cc engine produces about 42 bhp and drives through a multiplate clutch to a four speed gearbox. About nine 16-20 A types survive out of 275 made although some chassis frames have been used to create other models. Four different variations of chassis frame appear to have been used on the 16-20. 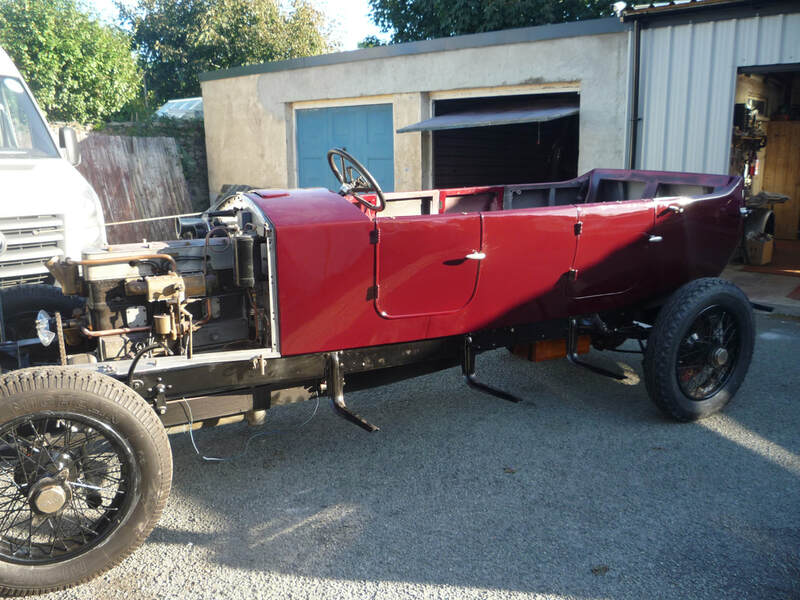 My car, A198 engine A192, was despatched from the works on 4th Nov 1914 and shipped to Australia. It would not have arrived until January or February 1915 and went to Queensland. Very few Vauxhalls were sold in Queensland and some early Queensland registration records survive so I was hopeful of discovering who the original owner was. These records however do not record the Car Number. Following a visit to Christchurch and Brisbane in February/March 2011 I have managed to piece together the car’s recent history. My car was discovered in the early 70’s in North Queensland by Alan Hale. It is believed it was discovered in the Ravenswood/ Home Hill area. Alan was a well-known Vauxhall owner in the VCCQ. 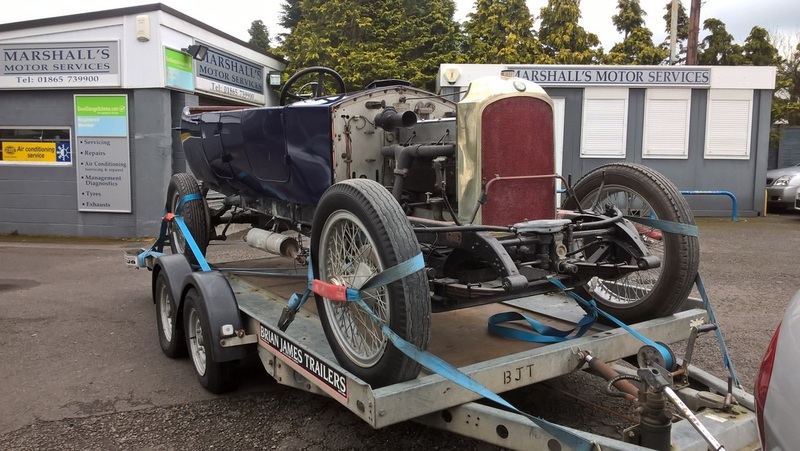 The story is that he had a box trailer full of car parts and that in order to load the Vauxhall onto the trailer the chassis was sawn in half and the front axle was left behind to be collected some months later. Queensland is a large state and the chassis was discovered some days drive from where Alan lived. I do not believe the body had survived although the firewall had. At about the same time Alan also rescued A170. 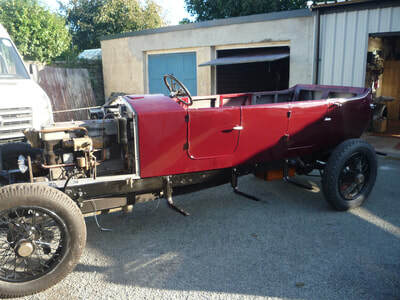 Peter Harris in Warwick, Queensland was offered one of the cars and chose A170, the car with the complete chassis which had Engine No A186. He did not get the car identification plate which went with my car. Unfortunately Alan died shortly afterwards in a refuelling fire. It was at this time the identity of my car became switched. A Brian Brown then collected my car together with the ex Max Wurst Prince Henry, an OE 30/98 and other Vauxhall parts. These were sold to Nigel Price and shipped to Christchurch NZ in 1973. 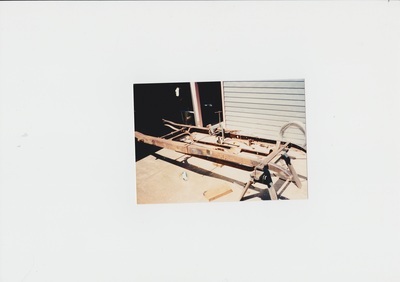 The lights and front axle beam of A198 were used to complete the rebuild of the Prince Henry. 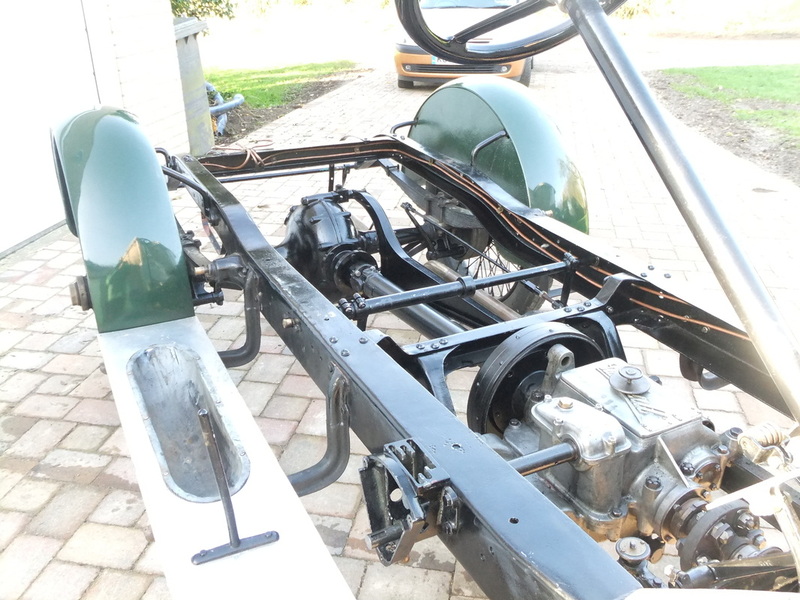 In 1976 Nigel Price sold A198 to Tony Airs in Christchurch who started to rebuild it and Tony welded the chassis back together. A front axle beam was bought from George Giltrap and a lighting set found. 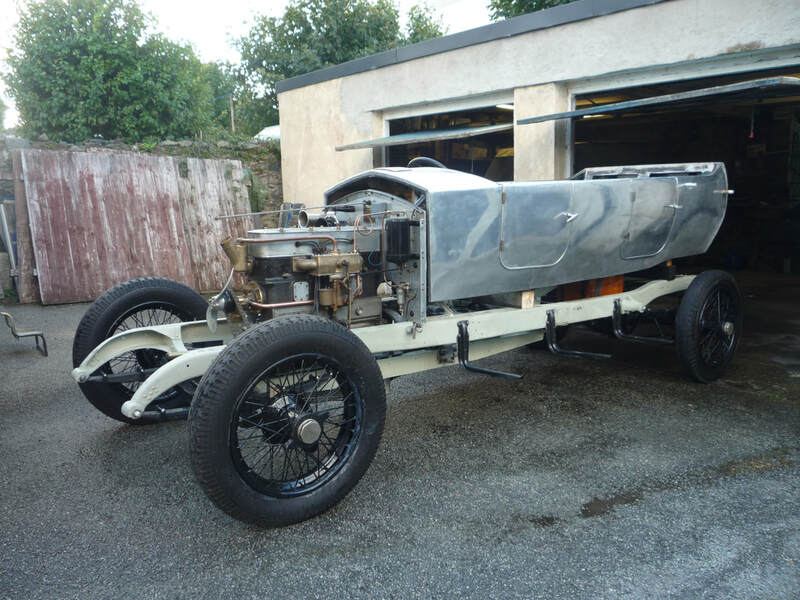 Tony had a replica of the Ascot 2 seat torpedo body built by John Millward and panelled by Alan Stanton of Auto Restorations but by the 1990’s work on the car stalled as Alan Lake who was helping Tony with the rebuild died suddenly. 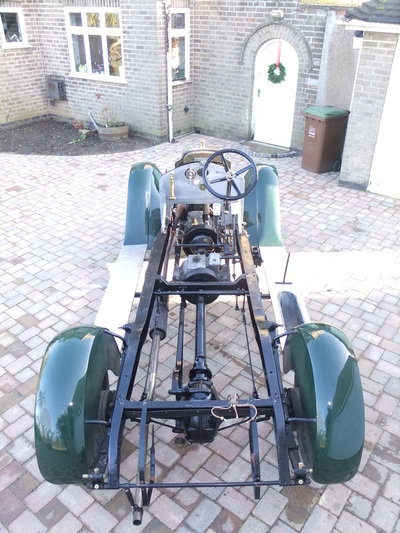 The rebuild was about 80% complete with all the major mechanical work having been completed and the main body panelled and painted leaving the rear luggage compartment to be panelled. 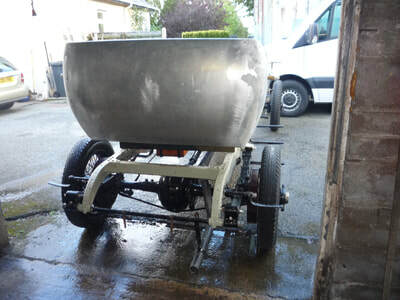 body was trimmed by Andy Taylor in 2008 and the front wings, bonnet and rear panelling made by John Selway in early 2009. Completing the rebuild was an interesting process as there were no UK survivors of the 16-20. I wanted to get the details correct and some detective work was necessary. 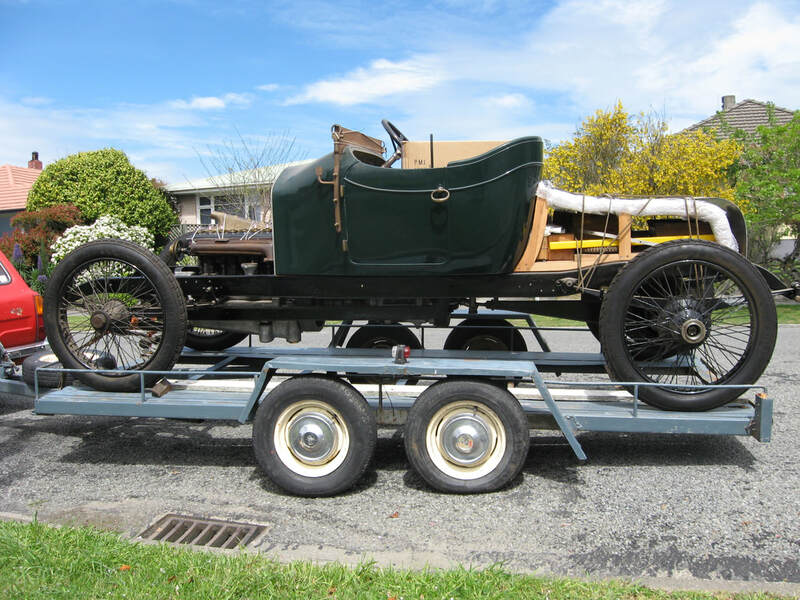 A very original 1913 car was being restored in Brisbane by Russell Massey and photographs of this were an enormous help. 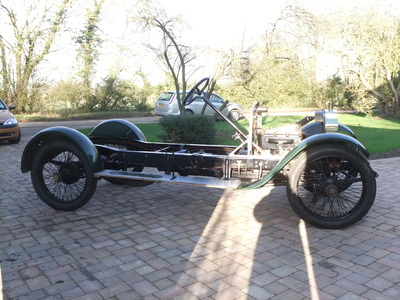 I also had a close look at the Cheverton 1914 Prince Henry at Beaulieu and Tony Smallbone’s E Type. These cars helped me to get the feel for the way Vauxhall arranged the control linkages and the fuel and air pipework. My car has its original firewall and the screw holes and witness marks enabled the correct positioning of the oil and air piping to be determined. It was satisfying to use the original fuel pipe clips and holes in the chassis for these pipe runs. I also discovered that the bolt holes in the chassis for the running board brackets were for the later pressed steel brackets introduced in mid 1914. I had the original castings for the silencer and these were used to make a straight through silencer to the same external dimensions as the original. A complete and correct Zenith 36mm DEF carburettor was sourced from France. The car first ran in September 2009 and after a few experiments with carburettor jets the maiden journey was to the Kop Hill Climb, a round trip of 130 miles. The car ran a little hot but advancing the ignition cured that. On the way to the 2010 LCES Welsh Weekend in April the car suddenly ran its big ends. A big disappointment as the car had been going so well. The subsequent strip down revealed that the oil pump drive had dis-assembled itself causing a total lack of oil flow. The engine was back together for the Summer Rally in June and the following year’s trip to Llandrindod Wells was uneventful. On the way home the car was cruising at 50 mph although the fuel consumption was about 17mpg, however it does runs a little rich. Since completion the car has now been driven 11,000 miles with only a few minor problems. The 9” rear brakes are not really very effective so traffic lights and roundabouts need to be approached with caution. The steering is light as is the gearchange so on the open road the car is very relaxing to drive. The 815 x 105 beaded edge tyres now seem to last about 7,000 miles. It is a wonderful car to drive and makes one realise how outstanding the Edwardian Vauxhalls were with their ability to eat up the miles hour after hour with ease. The recreation of the Prince Henry Vauxhall entered in the Swedish Winter Trial of 1912, by Alisdaire Lockhart.